Harmony in nature and in your garden dictates there be bugs, even the ones that chomp seemingly ungrateful on your soon to be produce. Gardeners often resort to using plants as part of a pest management strategies, sometimes with more or less success. No organic gardener expects an insect free garden, and the assortment of insect minimization tools available today is growing. Natural controls, such as the presence or introduction of beneficial insects, often top the list of useful insect minimization tools. Ladybugs, wasps and praying mantids, among others, fit into the beneficial insect category. They are often found in garden areas or they can be easily introduced. All have diets consisting of common garden insects. 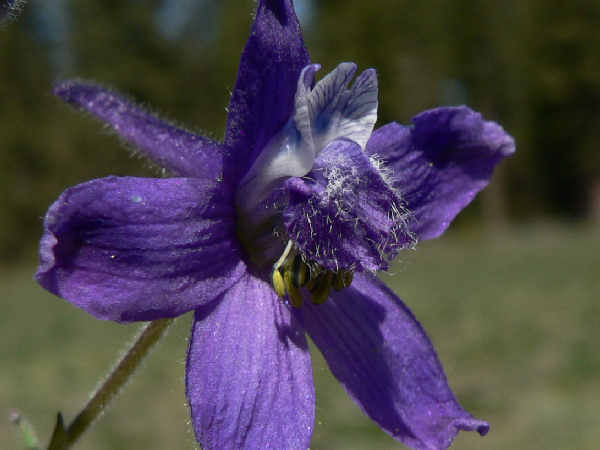 The United States Natural Conservation Service, for example, suggests planning an insect minimization strategy using the plants listed in the box to control the listed insects. Does it work? 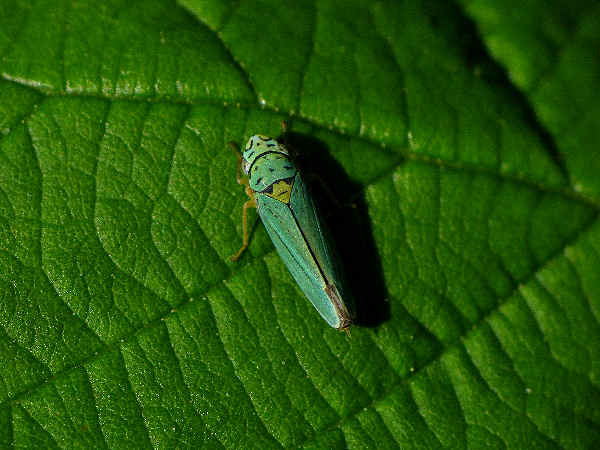 A recent report from the journal Environmental Entomology examines the efficacy of using plants as natural insect management tools. Seed pack companies promote products grouping seeds from plants and/or herbs attractive to beneficial insects. Use our product, the claims generally go, and the beneficial insects attracted to the flowers will help with pest control in your garden. The claims sound inviting to organic gardeners, who have long promoted the idea of using beneficial insects as one component of their pest management policy. Sometimes pest management is a numbers game. The logic of the seed packet marketing campaign sounds simple. A team of North Carolina State University researches decided to test the logic. In a report called, “Insect Communities Associated with Beneficial Insect Habitat Plants in North Carolina”, published by the journal Environmental Entomology 35(6): pp. 1541-1549 (2006) they state up front that there is little scientific research available to evaluate the validity of the marketing claims. They suggest their research be considered a first evaluation. Their methodology consisted of using three separate commercial products and three native plants to serve as beneficial insect buffers in three different types of garden settings. The settings consisted of solanaceous crops (tomatoes, potatoes, eggplant), brassica crops (mustards), and a corn and clover plot. Over a specific time of the growing season, they counted the number of insects in each of the test sites. When they evaluated the results they discovered that to some degree, all the commercial products and native plants did encourage the presence of beneficial insects. However, to some degree they all also encouraged the presence of pest insects in similar numbers. The research suggests a conservative approach to pest management. For example, if experience shows that using beneficial insect plants works, supplementing the practice with the direct introduction of beneficial insects into the garden will add another layer of pesticide free pest management. What to do with snails in the garden? Snail problems occur with regular frequency along the West Coast and the Southeastern the United States. Most, but not all, garden snail problems are caused by non-native snail species which thrive in temperate, moist climates, spring and fall typically mark the height of snail season. The picture shows the brown garden snail (Cantareus aspersus or Helix Aspersa), a species native to Europe and introduced into California in 1850 as a food source. Since its early introduction, the snail’s range has spread up and down the entire West Coast. Identifying snail pests can be a relatively straight forward task, with the shell serving as the key field identification clue. While the Brown Garden Snail shell varies from individual to individual, generally between species differences are sufficient for identification purposes. 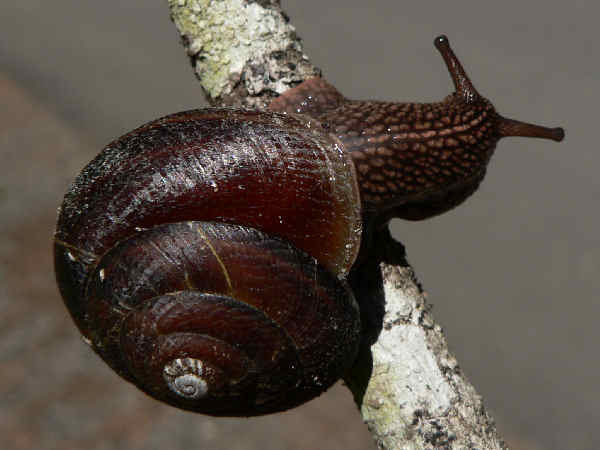 Sideband snails, genus Monadenia, live in Western forest areas. The dark band on the side of the otherwise brown shell represents the first, good field identification clue. Generally Monadenia species avoid garden pest status. Research on Monadenia species population levels remains incomplete, however concerns exist regarding population levels for a few species. Organic remedies for garden snails often take four different paths: baiting; barriers; biological; and manual. Baiting refers to the practice of placing lethal food in a snail’s path. Consumers have a choice of two commercial baits, a toxic metaldehyde based produce and a less toxic iron phosphate product. The iron phosphate product is the organic gardener’s best bet. Snails are also attracted to the odor of yeast. Placing beer or other yeast based liquids in containers around the garden, lures the snails into the containers, eventually drowning them. Physical barriers such as copper sheeting commonly prevent snails from reaching container plants. Manual removal strategies can take one of two forms. 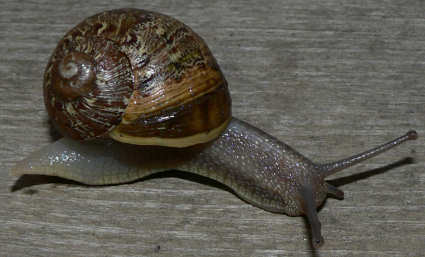 Since snails are most active during the night, inspecting the garden for snails prior to bedtime, and manually removing them, eventually reduces the overall population. While placing boards around the gardens will not act as a barrier against snail predation, snails often use the boards as day time rest stops, thereby making manual removal of the snails during the day a bit easier. Once captured, experts suggest dropping the snails in a bucket of soapy water to drown them. Biological controls such as the use of predator decollate snails are recommended in cases of extreme snail infestation covering a large area. For small home gardens, successful implementation of the first three options usually solves the problem. Spittlebugs are a common, though not fatal visitor to the garden. The most productive spittlebug management plan begins in the fall, after the growing season, as part of an overall strawberry management plan. Spittlebug eggs over winter in leaves in stems. Removing the source, including surrounding weeds, and starting with new plants, increases the probability of reducing spittlebug problems in spring. 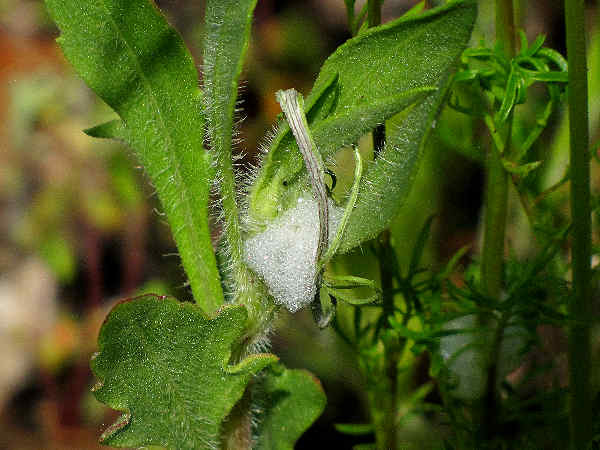 Spring spittlebug management consists of checking plants on warm and dry days for the characteristic spittle patches. When detected them, spray a direct stream of water on the patches to try to dislodge as many of the nymphs as possible.